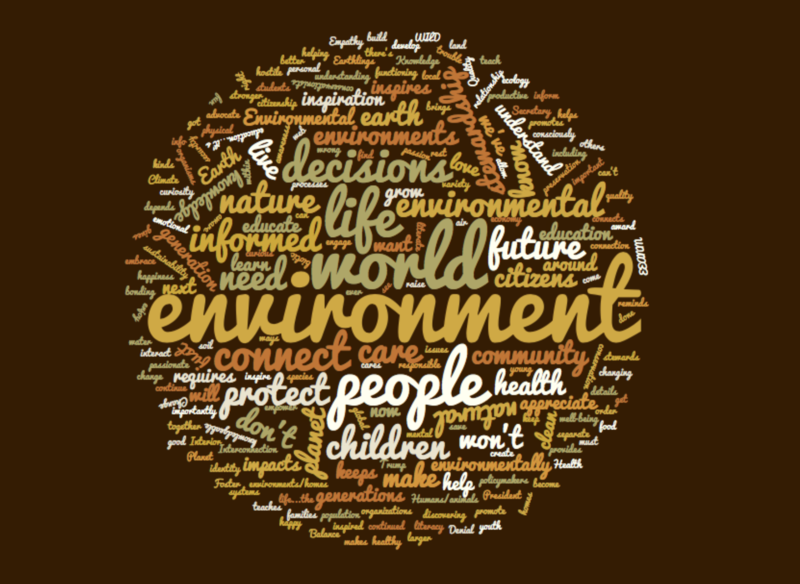 Why is Environmental Education Necessary? To help our population embrace our relationship to our biotic community. We won’t protect what we don’t know about. To save the planet and all its Earthlings. You can’t appreciate what you don’t understand, knowledge inspires change. EE helps grow a generation of people who are informed and can advocate for the environment. It keeps environmental issues all in hostile environments. To inform and engage the next generation of conservationists. Our world is in trouble environmentally and it is necessary to educate those who will make decisions about our future. 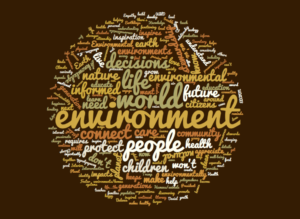 Not just educate – more importantly connect them to the environment. To connect children to their environments, their homes. To empower children and young people to become stewards of their environments/homes. EE is necessary for the continued preservation and conservation of the environment. For future clean food, clean air, water, and soil. To understand the world around us and the systems that keep it functioning. And find our identity within it. EE is necessary for the health of all of us and our environment! We need EE to continue the love of nature in our life. EEANM makes us “stronger together” and provides info and inspiration for those who are discovering they care. Foster environmental stewardship in youth. To build knowledgeable and passionate earth citizens. To raise children who care about the environment and want to protect it and love it and see it grow. To create a community who cares about our Earth and environments and its people. EE is important for bonding with an ever changing environment. For families of all kinds. Humans/animals and others. For helping get knowledge and have fun. To connect people to where they live and to the larger, global ecology of the earth. EE is necessary because it requires us to consciously interact with the organisms and processes around us. Interconnection of life and planet requires EE for sustainability. Because environmental literacy is necessary to make good decisions about our quality of life now and for our children. And it brings happiness. Environmental education…it’s necessary because there’s no better inspiration than our WILD earth. Because the health and well-being of our world depends on environmentally literate citizens, policymakers, and organizations. To promote passion for stewardship of our environment and allow for all generations to come to enjoy the environment. EE is necessary because it promotes responsible citizenship in a variety of ways, including an understanding of the natural world. Because if we don’t teach EE, students won’t know how to protect the environment that gives us all life. They won’t appreciate the web of life that connects them to the natural world and keeps them healthy, happy, productive. To develop an awareness, connection, and stewardship of the local environment in our community. We need to connect to the natural world for our health, security, economy – for our future. We must know in order to connect. …because environmental education inspires curiosity and I want to live in a world of inspired and curious citizens. EE is necessary because future generations will live here too. They need to learn from what we’ve done – both right and wrong. To inspire people to care for the land and protect it for all species. Because of the next Secretary of the Interior and Climate Change Denial. Environmental education is necessary because it teaches us about ourselves. It reminds us that nature and people are not separate, we ARE nature and nature is US. EE is necessary because we should all be informed and aware of the impacts of our decisions. Because Trump is now President. EE is necessary because we should all be informed and award of the impacts of our decisions. We need to care for our environment – this is the only planet we’ve got! Health (personal, physical, mental, emotional). Planet. To help people learn to make informed decisions about our world. Earth is life…the rest is just details.